Judo was introduced into the Olympiad in 1964 and is practiced by millions of people throughout the world today. People practice Judo to excel in competition, to stay in shape, to develop self-confidence, and for many other reasons. But most of all, people do Judo just for the fun of it. Judo is best known for it's spectacular throws but also involves strong matwork utilizing pins/holddowns, control holds, arm locks, and Judo choking techniques. Judo emphasizes safety, and full physical activity for top conditioning. Here in the New Breed Judo and Sombo club we firmly believe in a 50/50 approach to our training. We highly value Tachiwaza(standing throws), but firmly believe in the practice of Newaza(matwork/groundfighting). New Breed Judo stresses the transition phase in between the throw and the opponent hitting the ground. This is usually where the best opportunity to gain an advantage presents itself, so we focus on being versed in this range as well. 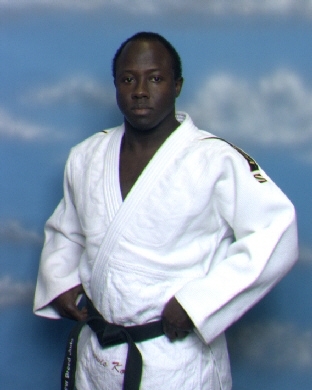 Judo has a colored belt rank system. Here at New Breed Judo and Sombo Club we follow the USJA(United States Judo Association)Rank system for both Juniors(16 years of age and younger)and Seniors(17 years of age and older). The Junior and Senior corresponding ranks follow below as set forth by the USJA. Judo is best defined as the "supple way", although it is usually translated as the "gentle way". Judo teaches you to be mallable in your application of technique. Technique, timing, skill, balance, and posture are heavily valued over the use of raw strength. Judo teaches you to "yield" to your opponents force and aggression, rather than to meet it head on. The principles of Judo, such as "Maximum Efficiency" and "Mutual Welfare and Benefit", can also be used in our dealings with others in life. The ultimate goal in Judo is to develop oneself to the maximum extent possible, always striving for perfection, so that you can contribute something of value to the world. For more information on Judo or our schedule of classes, please feel free to contact us at (501)612-0242 or via e-mail at NO-GI .